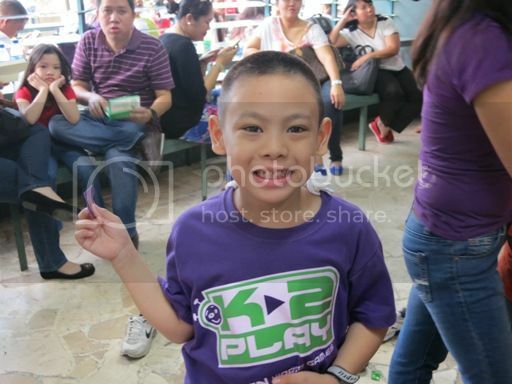 Two Saturdays ago, Justin’s Kinder 2 class was required to go to school for Kabihasnan Fair 2013. 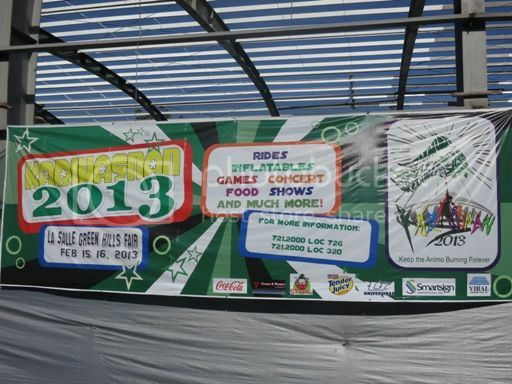 Kabihasnan is a biennial school fair which is considered the biggest festivity of La Salle Green Hills. 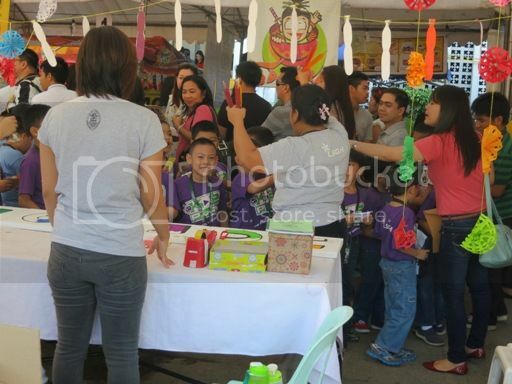 Kabihasnan Fair 2013 was held from February 15 to February 16 (Friday and Saturday). After checking their attendance, their homeroom adviser took the boys to the fairgrounds where they were allowed to purchase foods and toys and play games using their Php200 chits that parents had to pay beforehand. The Kinder 2-B class getting their frosty ice candies. That’s my son smiling for the camera! My son bought cotton candies and ice drop and played at the inflatables inside their school canteen. While he was busy playing, his Dad and I toured the fairgrounds. 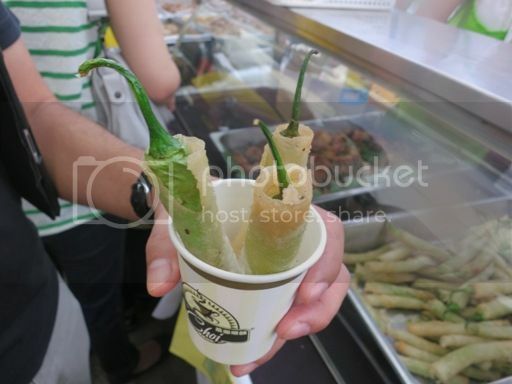 We learned from the stall vendors that even guests needed to buy chits to be able to buy things at the fair, and so we bought chits for ourselves. Hubby bought a beef rice topping for himself, while I had hot taho (soya bean curd) and Califonia maki. We both had an order of the spicy Dynamite, too. This year’s Kabihasnan Fair featured concerts and field demonstrations by Grades 1-5 students. Aside from food offerings from various concessionaires, there were also rides, inflatables, games and shows for everyone. 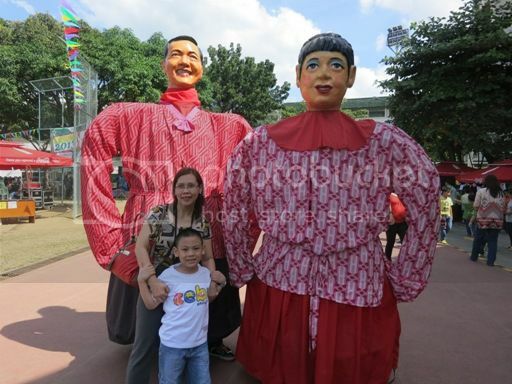 We also managed to have a photo opp with the higantes (paper mache giants). As expected, the little boy enjoyed his time with his classmates in school and everything that the Kabihasnan Fair had to offer. 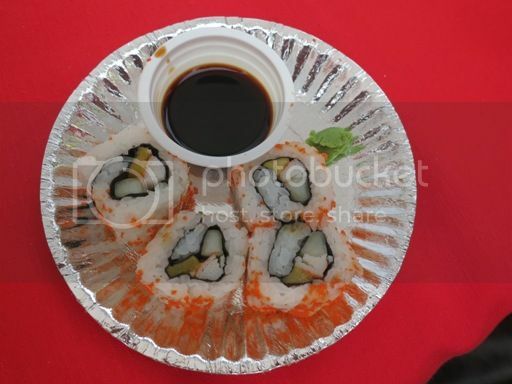 This entry was posted in Kabihasnan Fair 2013. Bookmark the permalink. 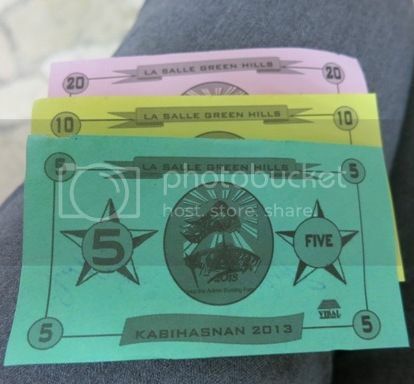 We also use chits as our money in my school before. How I miss going to these events. I wonder why the fair is called as such..it seems like a fiesta or festivity no? i love going to fairs, there is simply so many stuff to see. i wish i can go to this one, i would love to sample the maki, it’s my fave + it has been ages since i eaten some!